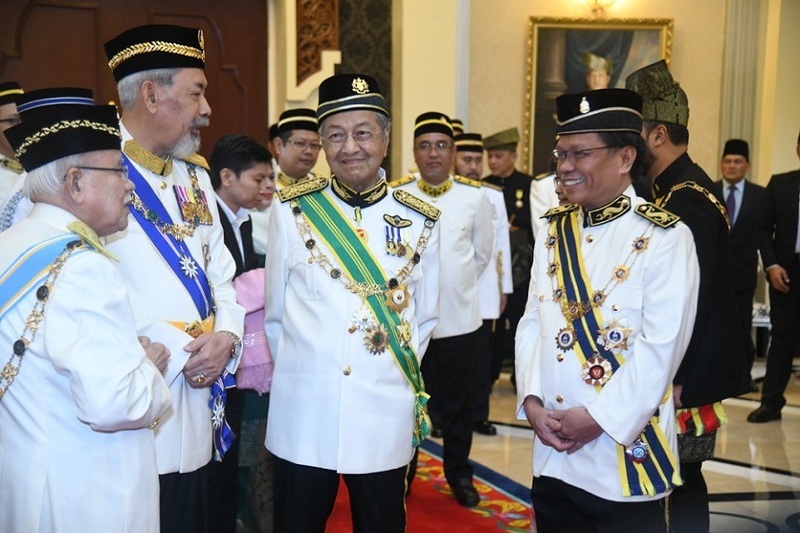 Tun Juhar Mahiruddin, second left, shares a word with the Prime Minister, Tun Dr Mahathir Mohamad while Datuk Shafie Apdal, right, looks on, while waiting for the swearing in ceremony of the new King to begin at Istana Negara on Thursday. 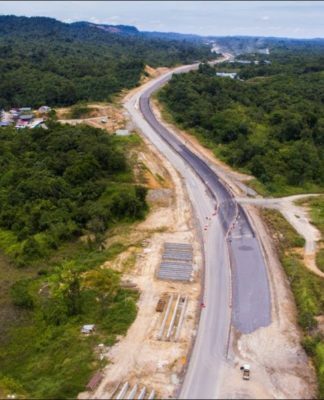 – Photo courtesy of Chief Minister’s Department Sabah. 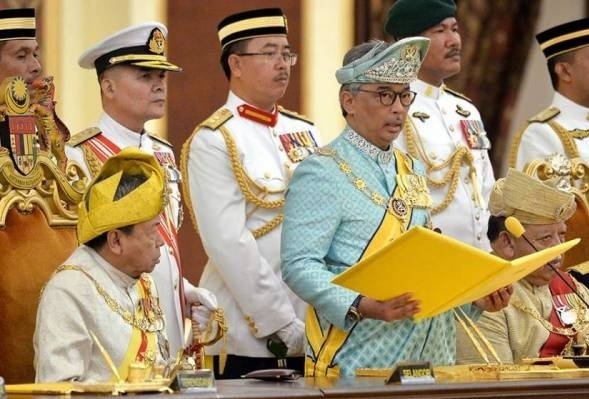 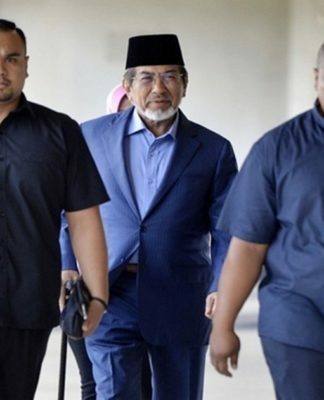 KUALA LUMPUR: The Sultan of Pahang, Al-Sultan Abdullah Ri’ayatuddin Al-Mustafa Billah Shah, was sworn in Thursday (January 31, 2019) as the new Yang di-Pertuan Agong in a ceremony steeped in tradition at Istana Negara here. 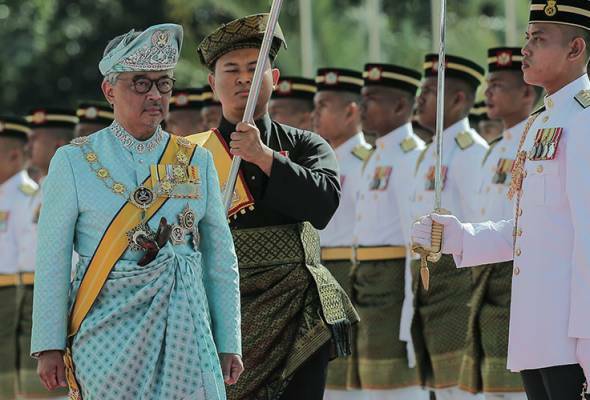 Sultan Abdullah, accompanied by the other Malay Rulers, the Tengku Makhota of Kelantan, the Regent of Pahang and the Yang Dipertuas Negeri, proceeded to the Balairung Seri for the swearing-in and signing of the instrument of office and declaration of assuming of office. 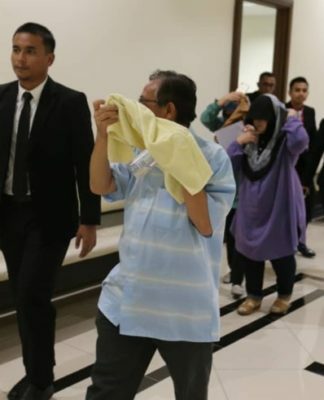 Among the dignitaries present was the Prime Minister and the Cabinet as well as Menteri Besar and Chief Ministers of all States. 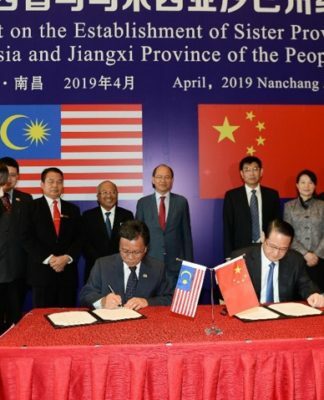 They included Sabah Tuan Yang Terutama Tun Datuk Seri Panglima Juhar Mahiruddin and Sabah Chief Minister, Datuk Seri Panglima Haji Mohd Shafie Apdal. 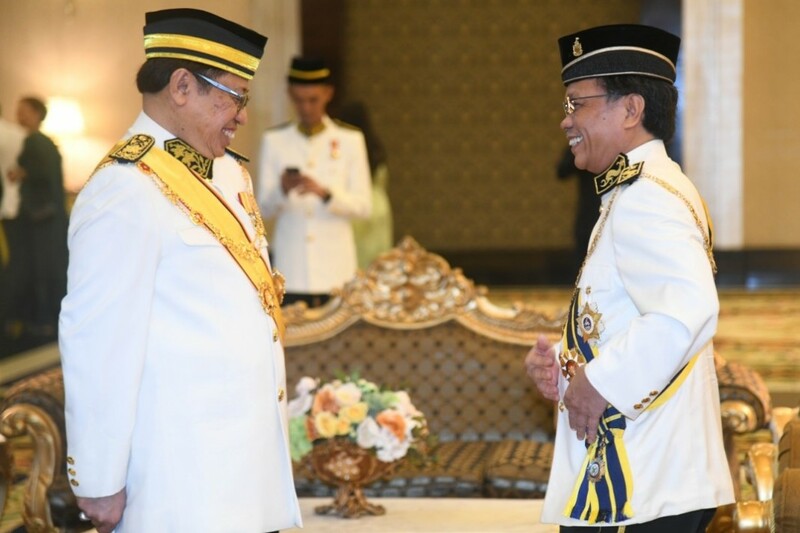 Datuk Shafie Apdal, right, together with his Sarawak counterpart, Abdul Rahman Zohari bin Tun Abang Haji Openg aka Abang Jo at Istana Negara.